Rollin' News - World Wide Roller Derby News | Life after DNN? https://www.facebook.com/wftda?hc_location=timelineIn the words of Private Eye, so farewell then, DNN, with the announcement of its surprisingly unsurprising termination. To say that it was a huge shock to see DNN wave goodbye during tournament season right after a website reboot is an understatement to say the least, but some of the more jaded and cynical have said that the writing was on the wall from 2011 when they weren't given the rights to show the WFTDA 'big 5'. Whether, as some say it's the result of WFTDA Orwellian centralization and the creation of big derby, or alternatively derby famous people throwing their toys out of the pram is not up for debate here - that sort of thing is best left for the ivory towered world of Facebook. 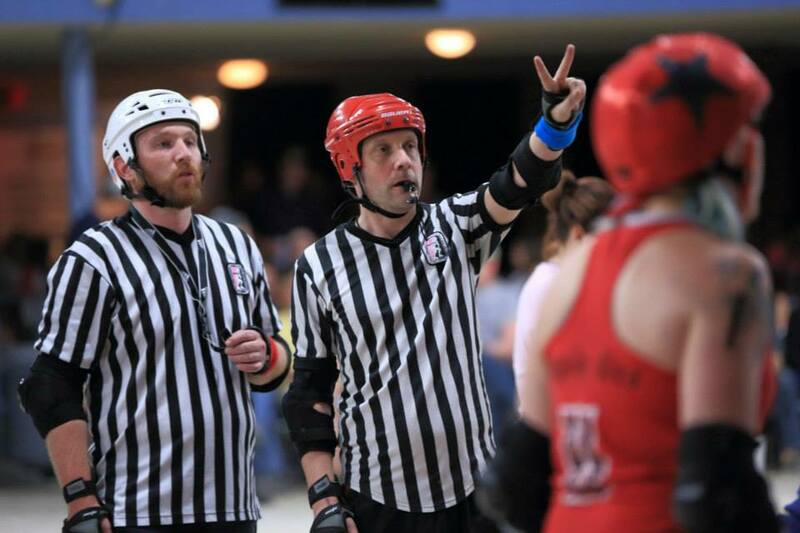 Although if you really want to read more, you can find the DNN position here, and the WFTDA statement-of-sorts here and feel free to make up your own minds of the truth of the matter. Suffice to say that with the passing of DNN there is a large media gap that needs to be filled. That aside, I also want to watch games involving teams I've never seen in the flesh, or games where friends of mine are playing or games that are close. Basically I want to watch games. So, what can be done? Obviously, unlike ESPN, we're not in a position where we can just have film crews sent to record each and every game live, that is just not currently feasible logistically or financially but some European leagues are making steps in the right direction by boutcasting their tournaments - SKOD particularly stands out in this area. That said, it's often very hard to get to see 'normal' rather than tournament games which is a shame. So what to do? Well there are many, many options but here's one idea that may or may not be feasible: perhaps someone could create an online host/archive game database. Each home league can either stream live through that host and/or edit and upload the game to the host's servers for indefinite archiving post game (perhaps with interviews and post match analysis). To watch games live or view the archive you pay a minimal subscription - say $1 which is split 50/50 between the hosting company and the league streaming or archiving the game. In theory we would get plenty of derby to watch at a minimal/reasonable cost. You can pick and choose your games and leagues can market themselves to an international audience and make a few dollars through marketing your product online which would, hopefully, add up over time. It also includes the possibility for ad revenue, but the mechanics of that is something for wiser heads than mine. As I say, it's just an idea and may be completely unpractical but I for one would like to be able to view derby through some sort of network. Hmm. Derby. Views. Network. Haven't I heard of that somewhere before?